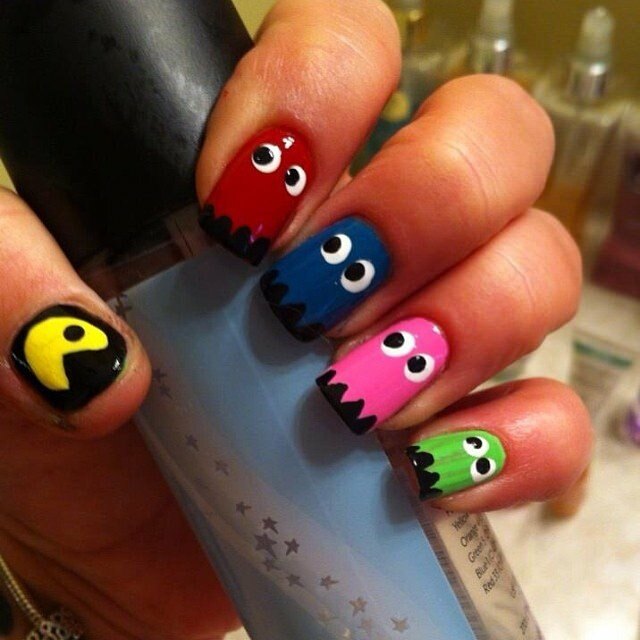 We’re sick of seeing a basic French polish or plain colours, so we have found some of the coolest and somewhat nerdy nail art designs to inspire those that want to spruce up their fingers. This would be great for fancy dress, seasonal celebrations or even for an exciting everyday look. 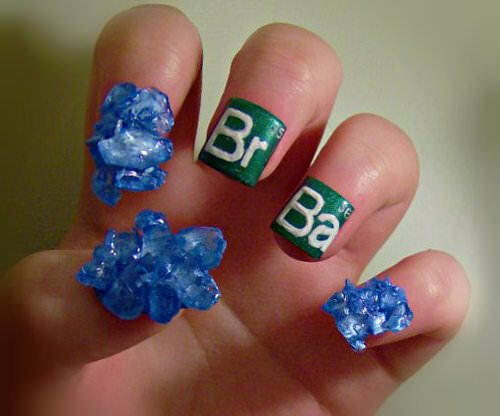 These nails are very cool, with the reference to the huge series hit breaking bad, these 3d claws look incredible. 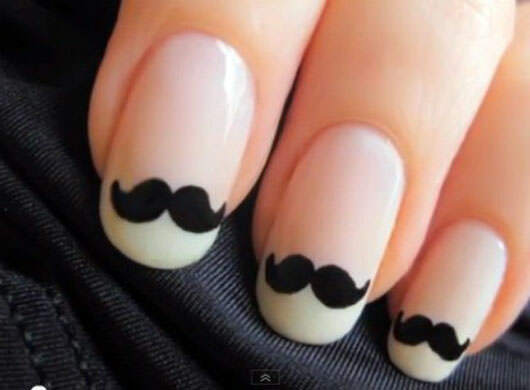 Recently moustaches have become very in fashion and on trend, but if you can’t grow your own why not paint them on your nails! Who you going to call? 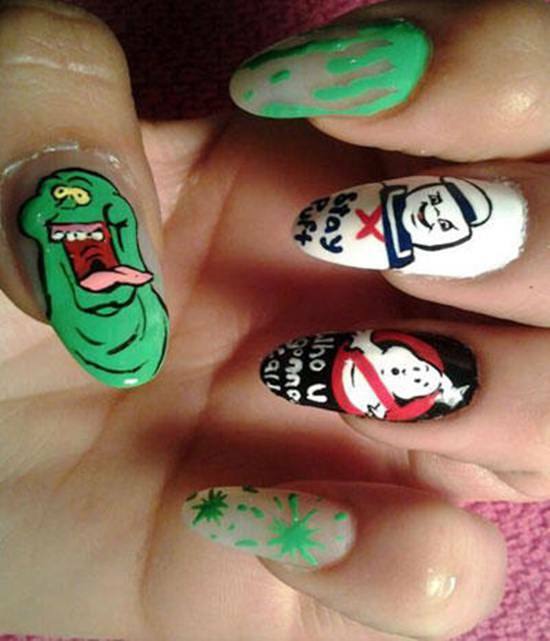 These nails are sure to bust any ghosts and turn a few heads in the process! 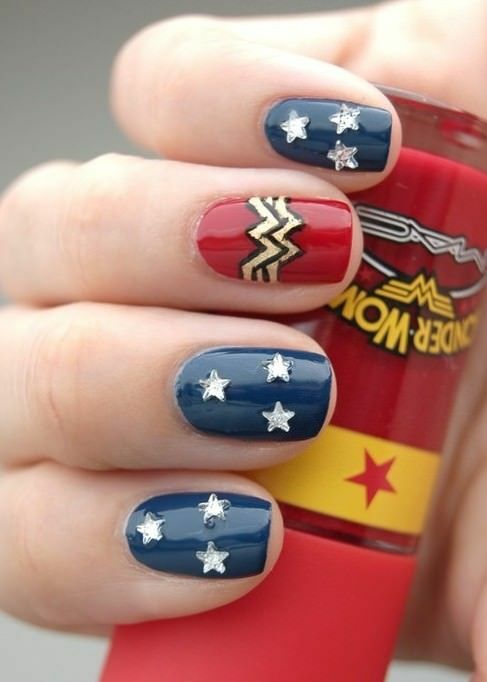 Be a super hero with heroic nails in the style of wonder woman. These nails embrace a glitzy side with stars and gloss. If you’re well and truly addicted to the game then why not have nails to match as you play. 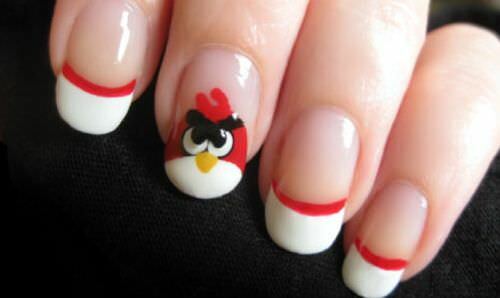 These Angry birds nails are simple and fun. 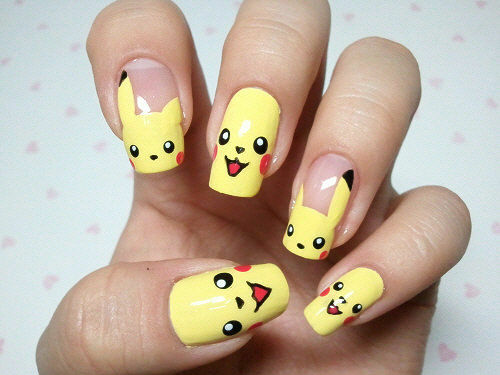 Pikachu I choose you… for my nails! These yellow nails will be sure to put a smile on everyone’s face and look very cute. 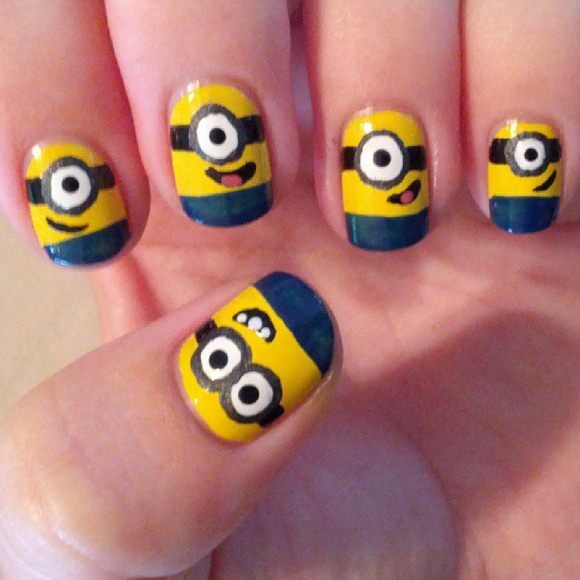 Everybody loves minions so why have the closest thing possible to owning a minion by carrying them round on your finger nails everyday! 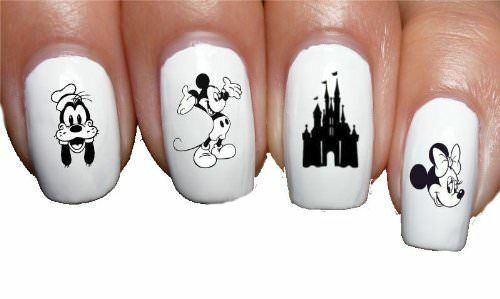 These minimal monochrome nails are a classy looking take on a Disney nail design. These nails are fashionable but also neat and subtle. 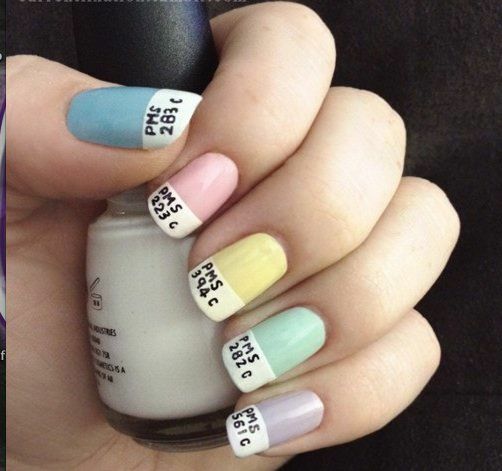 This nail design makes great use of the finger too, and looks very cute at the same time. 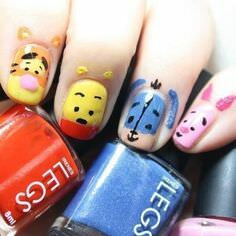 These winnie and friends nails will look great for all ages (you’re never too old!). 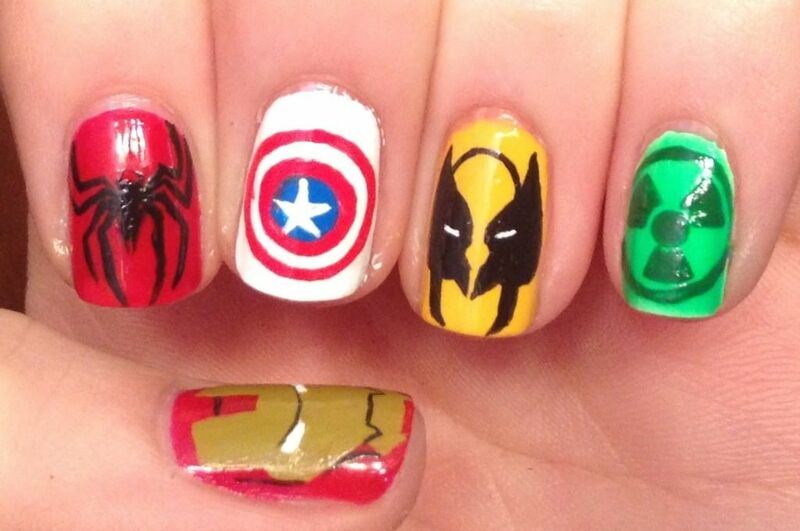 These nails are the ultimate super hero nails. With the Marvel characters across your finger tips, you’ll be unstoppable. These are really easy to recreate and an unforgettable retro classic look. 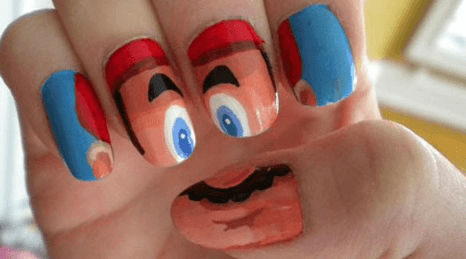 These super Mario nails are very cleverly designed. With the nails put together to form his face and spread apart to look like a neat pattern. 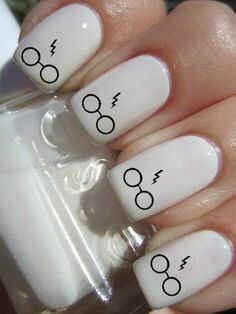 These minimal Harry Potter nails are beautiful. The minimal scar and glasses detail is simple but looks very effective. 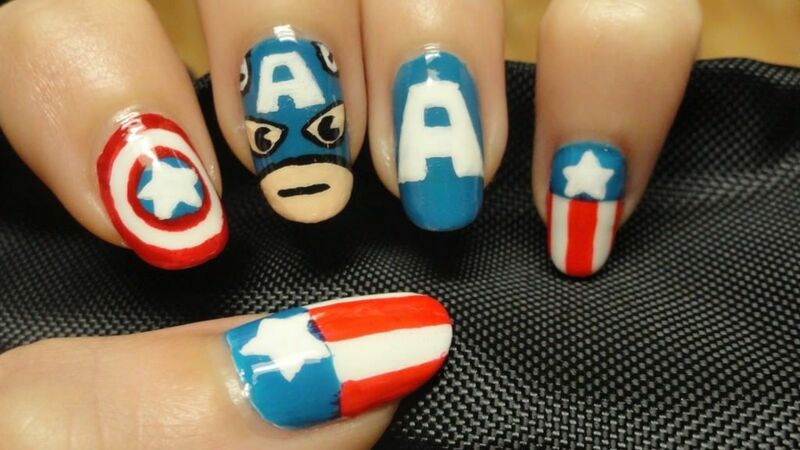 These nails are the ultimate tribute to the hero that is Captain America. These nails are very intricate and detailed, so maybe not an easy one to recreate but very worth it. 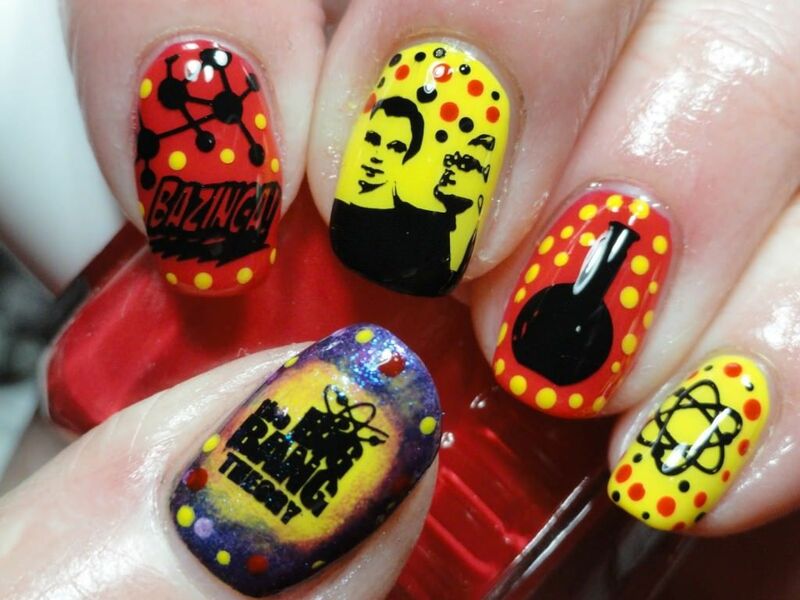 These nails look amazing and show true dedication to the popular show. These nails are hilarious and feature our favourite characters from the guilty pleasure show that is, Sponge Bob Square Pants. 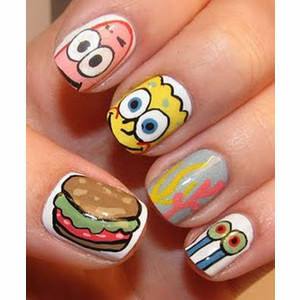 So tuck into a crabby patty with these cute nails! 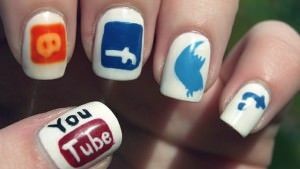 If you’re known to always be on your phone, updating your facebook status and watching videos on YouTube then these nails are great for you! These nails are slightly more tame and are subtle enough for everyday wear with a finer detail that only few will appreciate making them extra special. These nails are very pretty. 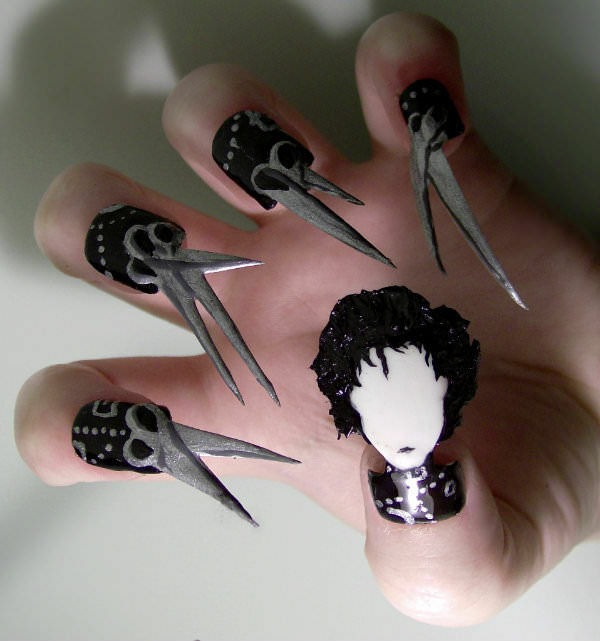 We love these creative scissor hands, with a long fake nail being cut into scissory shapes, it makes a great scissor hand look! 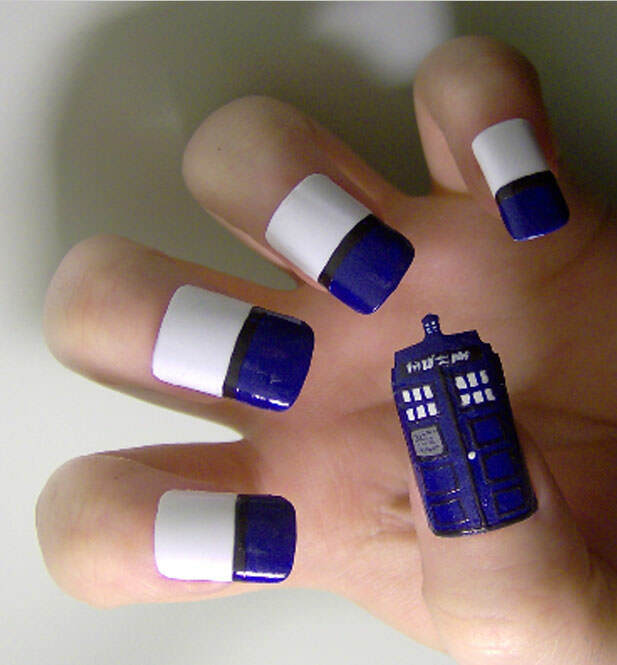 However, these nails might not be very practical!